If you might be visiting Hampshire be sure you know the rules and regulation for swimming as they may not be exactly the same as in your residence town. We currently have the following Chlorine Free Pools in Hampshire, but we are always grateful for any corrections or contributions. Get in touch via our get in touch with form. Most of the Swimming Pools offer both open lanes for independent swimming and also guided activities like water aerobics or aquabike. For Hampshire and its vicinity, we're showing you all of the registered Chlorine Free Pools in Hampshire, some of them have no GPS coordinates and you're not finding them at the map. Regular users told us one of the most critical thing of swimming would be to control your breathing. To obtain this, our head should be aligned with our spine all the time. Are you on holiday and want to preserve fit and healthy? 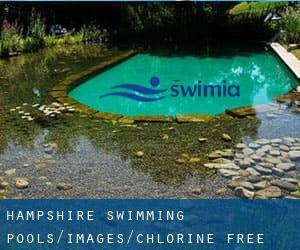 Swimia.com delivers you the effortless and quickest way to locate pool near Hampshire. Swimming is actually a excellent idea to keep your body active in the course of your visit to Basingstoke (Hampshire), or even when you are a local. Swimia helps you to find your closest Swimming Pool in Basingstoke. Without a shadow of a doubt, swimming in Waterlooville is the greatest way to unwind soon after work. 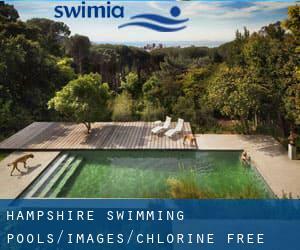 Take a couple of minutes to browse Swimia's catalog to find a Swimming Pool in Waterlooville. Holding an estimated population of 70.793, Gosport is one of the most important cities in Hampshire. Check all the Pool in Gosport and its surrounding area. Oxford Business Park North , Garsington Road , Cowley , Oxford , England , UNITED KINGDOM (Postal Code: OX4 2JY). Among all the activities offered by the center, in case you are interested in swimming you will enjoy 25 meters x 12 meters, Non-Chlorine Sanitized, Indoors. Just in case you want to contact this Swimming Pool before dropping by, we only know the phone number. Unit 4 , The Printworks , Withy Grove , City Centre , Manchester , England , UNITED KINGDOM (Postal Code: M 4 2BS). Among all the activities offered by the center, when you are interested in swimming you can expect to enjoy 20 meters x 8 meters, Non-Chlorine Sanitized, Indoors. Just in case you want to contact this Pool before dropping by, we only know the phone number. Updated on 2019 Brunswick Street , Knutton , Newcastle - under - Lyme , England , UNITED KINGDOM (Postal Code: ST5 1HG). Among all the activities supplied by the center, if you are enthusiastic about swimming you may get pleasure from 25 meters, 8 lanes, 1.1 meters - 2 meters depth, 1.1 meters - 2 meters depth, Non-Chlorine Sanitized, Indoors. If you need to make contact with this Swimming Pool, email address and phone number are both number. Henley Road , Marlow - on - Thames , England , UNITED KINGDOM (Postal Code: SL7 2EY). Among all the activities provided by the center, if you are interested in swimming you will take pleasure in 20 meters x 10 meters, Non-Chlorine Sanitized, Indoors. Just in case you desire to contact this Pool just before dropping by, we only know the phone number. Updated on 2019 21A Piccadilly , Piccadilly , London - Central , England , UNITED KINGDOM (Postal Code: W 1J 0BH). Among all the activities offered by the center, for anybody who is interested in swimming you can expect to take pleasure in 50 feet x 35 feet, 1 meters - 2 meters depth, 1 meters - 2 meters depth, Non-Chlorine Sanitized, Indoors. Just in case you would like to contact this Swimming Pool prior to dropping by, we only know the phone number. Updated on 2019 Tetbury Road , Cirencester , England , UNITED KINGDOM (Postal Code: GL7 1US). This sports center offers 25 meters, 6 lanes, Non-Chlorine Sanitized, Indoors. Contact information for this Swimming Pool similar to phone number and email address are number. Chelsea Village , Fulham Road , London - Central , England , UNITED KINGDOM (Postal Code: SW 6 1HS). Among all the activities offered by the center, if you are interested in swimming you can enjoy 25 meters x 10 meters, 4 lanes, 1.4 meters uniform depth, 1.4 meters uniform depth, Non-Chlorine Sanitized, Indoors. Just in case you need to get in touch with this Swimming Pool before dropping by, we only know the phone number. Barton Dene , Marlborough , England , UNITED KINGDOM (Postal Code: SN8 1PB). Among all the activities offered by the center, if you are interested in swimming you can enjoy 25 meters x 9 meters, 4 lanes, Non-Chlorine Sanitized, Indoors. If you should get in touch with this Swimming Pool, email address and phone number are both number.